Facebook has announced that it has won a major payout from internet marketer Sanford Wallace, after the site sued him for accessing people's accounts without their permission and subsequently spamming them. The payout of £430 million ($711 million) is said to be the second biggest ever of its kind and eclipses the £143 million ($234 million) damages Wallace had to pay to MySpace in 2008 for junk messages sent by his company. Facebook was awarded the biggest-ever 'spam' payout last year, when Canadian spammer Adam Guerbuez and Atlantis Blue Capital were ordered to pay $873 million (£533 million) to the site. Sanford Wallace has a chequered history when it comes to the web, garnering the 'Spam King' moniker during his prolific spamming exploits in the Nineties which saw his company send around 30 million daily junk mail emails. 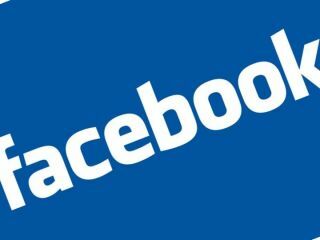 The result is definitely a victory for Facebook in its fight against spam, but the site has admitted on its blog that it may not see all of the money, stating that: "While we don't expect to receive the vast majority of the award, we hope that this will act as a continued deterrent against these criminals." Wallace it seems may also be jailed for his spamming exploits. On its blog Facebook also notes that: "The judge referred Wallace to the U.S. Attorney's Office with a request that Wallace be prosecuted for criminal contempt, which means that in addition to the judgment, he now faces possible jail time."